Tinyard Enterprise Co.,Limited is one of the top level China side sealing and cutting machine manufacturers and suppliers, welcome to wholesale side sealing and cutting machine from our factory. 1. 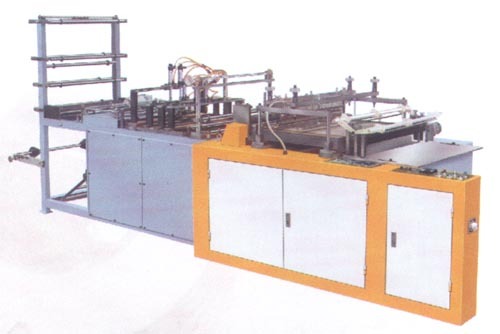 This side sealing and cutting machine is suitable for making OPP bags. If you need, it could also make PVC, HDPE, LDPE side sealing bags. 2.It adopts PC control, Inverter to control speed, Photoelectric system to control cutting, automtaic temperature keeping, adjustable tension. 3. Options: Ultrasonic sealing device, pneumatic hole-punching device, sticking two-face-glue tape device. 1. 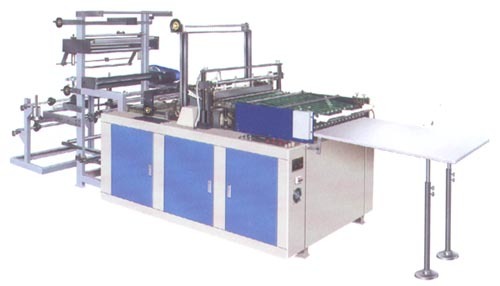 SHXJ-S600, S700 is suitable for sealing and cutting self-seal plastic bags. If you need, it could also make PVC, HDPE, LDPE side sealing bags. 2. It adopts flat conveyor belt, Photoelectric system to control cutting, automtaic temperature keeping, automatic counter and alarm.